Cash from Westminster pays for the lion share of council services in South Tyneside, and has already been cut by 45% under Government austerity measures. Now Ministers have offered the council a four-year funding settlement which it says will offer certainty and stability for the council - but senior councillors say the deal will see a 20% reduction in its core funding. Ed Malcolm, the senior councillor responsible for resources in South Tyneside, said South Tyneside had been one of the worst-hit council’s in the country, with Government cuts eliminating what amounted to more than £660 less per household for the authority to spend. The council is not obliged to accept the four-year deal, and may instead opt for the present annual system of funding to continue. Coun Malcolm said rejecting the four-year settlement was therefore likely to be financially detrimental to councils such as South Tyneside. “Huge government grant cuts are set to continue which inevitably means we have less to spend on key council services. Any organisation losing such a significant amount of funding cannot afford to maintain the status quo. The council is no different,” he said. “At the end of the day the cuts for South Tyneside are going to take their toll and although we are doing our best to minimise the impact of them, the continuation of years of grant reductions will mean we have to think hard about which services we can and cannot continue to provide. Coun Malcolm said the council had been forced to make significant savings over the past six years - but had put foundations in place to help make the borough more resilient, create jobs and opportunities for people in the borough, and to ensure that the authority continues to provide high quality services to those who need them most. 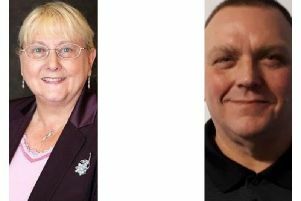 Senior Labour councillors will consider the four-year settlement offer at the next meeting of the Council’s Cabinet, on Wednesday October 5 at Jarrow Town Hall.